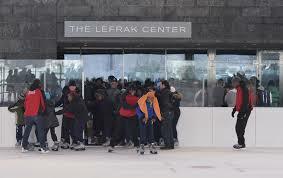 Pack up your ice skates and pull on the rollers, as the $74 million Samuel J. and Ethel LeFrak Center at Lakeside remakes itself from an ice skating rink to a ‘more appropriate for the spring season’ roller-skating rink. The brand new facility premiered in December and brought in about 50,000 visitors during the cold months of winter. As the temperatures began to climb one of the rinks was closed down and converted to a roller rink, which is scheduled to open on April 13. 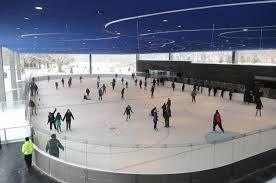 The rink is a bit out of the ordinary, however, being made of hard concrete rather than smooth wood, contributing to more painful, and even dangerous, falls. Unfortunately wood would be highly impractical. “Wood is the ideal surface, but it would be difficult to maintain outside” one self-proclaimed expert explained. 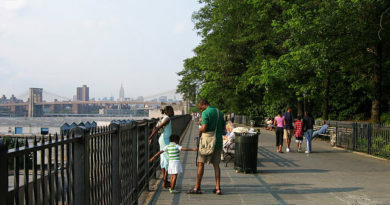 LeFrak’s outdoor space will be holding shows and performances from now until Memorial Day on May 26. On that day another recreational area will open up; a children’s water play area which will have shooting jets of water to run through, and will be free to use. There is also a chance that the other ice rink will also be converted to an additional roller-rink, if the first rink becomes too popular and crowded.